The iPhone X was greeted with a lot of expectation and speculation. The big screen and the cool camera certainly made users very happy. But just as it is with every other new iPhone release, the iPhone X is not without its problems. All you have to do is look at the many forums to see the many things iPhone X users are complaining about. In this article, we take a look at some of the most prevalent iPhone X problems and how to fix them. One of the biggest things you’ll notice about the iPhone X is that the Home button is no longer there. But iOS has offered an alternative in the form of AssistiveTouch. This new iOS feature provides users with a virtual home button by adding a “soft” button. This soft button can be added anywhere on the screen including near the bottom of the screen where the home button used to be. The AssistiveTouch feature much like the home button can perform a number of tasks. You can single tap, double tap or long-press or 3D Touch depending on what you need. It can also be used to access a popup menu that allows you to quickly access functions like the Control Center and Screenshot. 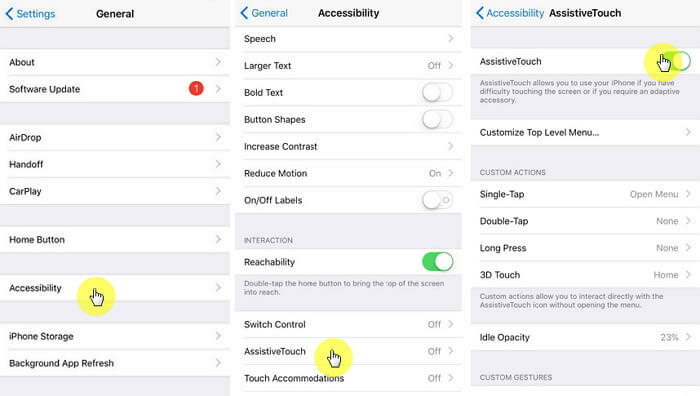 To activate AssistiveTouch, go to Settings > General > Accessibility > AssistiveTouch and to customize the function, tap on Customize Top Level Menu. 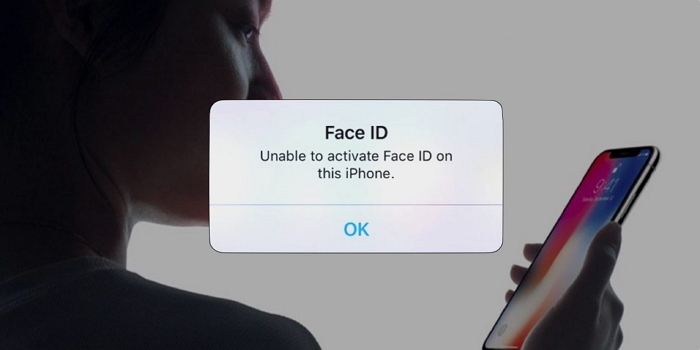 Another problem users complain about is that Face ID is not working quite as fast as it used to. When you raise the device, press the wake button and see a padlock at the top of the screen, your face should be recognized and the device is unlocked in 2 seconds. If this is taking longer than usual, there are several things you can do. First, don’t wait for the padlock icon to appear at the top of the screen. Instead, swipe from the bottom to unlock the device much faster. It is also likely that your face is too far from the iPhone X screen. Try placing the device about 10-20 inches from your face. If Face ID is not working when the device is placed on a table, get a QI charging stand. This way, you can position your phone on the stand so it’s facing your face. 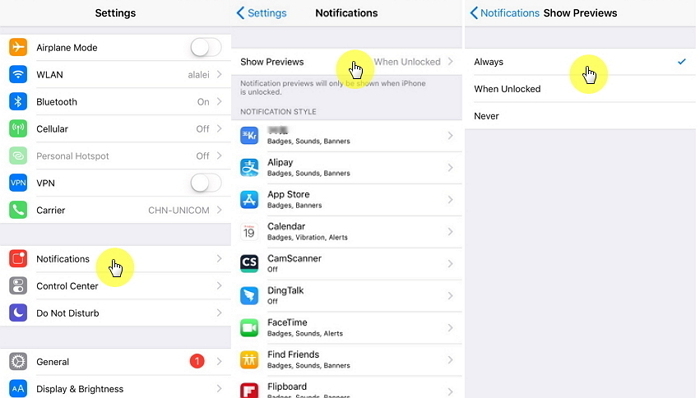 Notifications are especially hidden if you are using Face ID as you are unable to see them until the device is unlocked. This feature comes activated by default in all iPhone X devices. While it is a great security feature, it can also be quite annoying, particularly when you are used to seeing your notifications at a glance. But there is a way to turn off this feature. Go to Settings > Notifications > show Previews and choose “Always.” Doing this ensures that your notifications will appear even when the device is locked. This is not just an issue with the iPhone X and started when Apple introduced the plus sized devices. There is a way around the problem though: the Reachability feature. For most iPhones, all you have to do is double-tap on the home button to bring the top of the screen down and make it more thumb-accessible. Charging an iPhone X is a relatively simple process that requires no wires. All you have to do is place the device on a pad. But this seemingly simple process can also have a few difficulties depending on the charging pad you choose. For instance when you choose a charging pad like the Seneo pad that has LEDs that pulse continuously when the device is charging; you are likely to have interrupted nights when charging overnight. If you plan to charge the device overnight, consider choosing charging pads that don’t emit LED light or emit just a small amount. There are also some users who have reported hearing a cracking sound on their devices. Most report that the sound occurs when they are listening to music on the iPhone X front speakers. The problem will normally occur when the volume reaches it maximum level and can even be heard when playing videos and making calls. 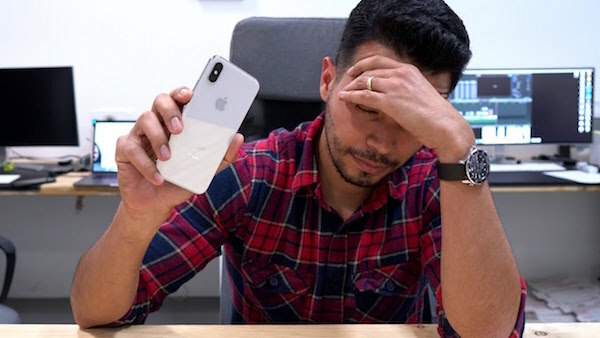 If you experience this problem and your device’s warranty is still valid, Apple might be able to replace your iPhone X for free. Simply make an appointment to visit an Apple store and the technicians will determine if the problem can be fixed. If it can’t be fixed, Apple may replace the device with a new one. In the meantime, it may be a good idea to refrain from playing music at a high volume and use ear pods to listen to music or watch videos. Those are just some of the most common issues users face with the new iPhone X. Is yours not addressed above? Let us know which problems you are having with your iPhone X in the comments section below. Try to describe the problem in detail and we’ll try to come up with a solution for it.